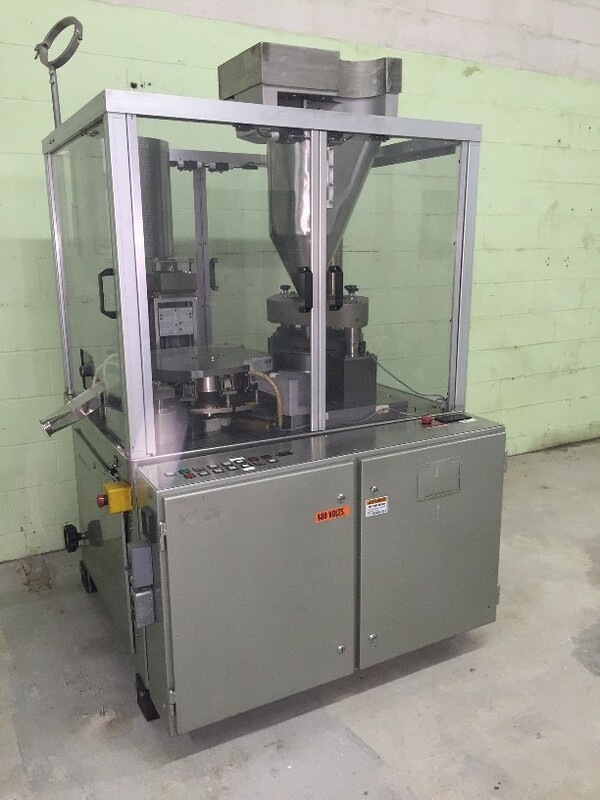 Used Bosch H&K GFK 1500 Automatic Capsule Filler. Features: Stainless Steel Sanitary contact parts and is on an enclosed Stainless Steel base. Includes: 1. Set of Size “0” Change Parts. Produces up to 1,500 capsules per minute, (90,000 per hour). Complete with Plexiglass enclosed guarding, interlocking safety switches, vacuum pump and controls. Electrics: 220Volts/3Ph/60Hz. 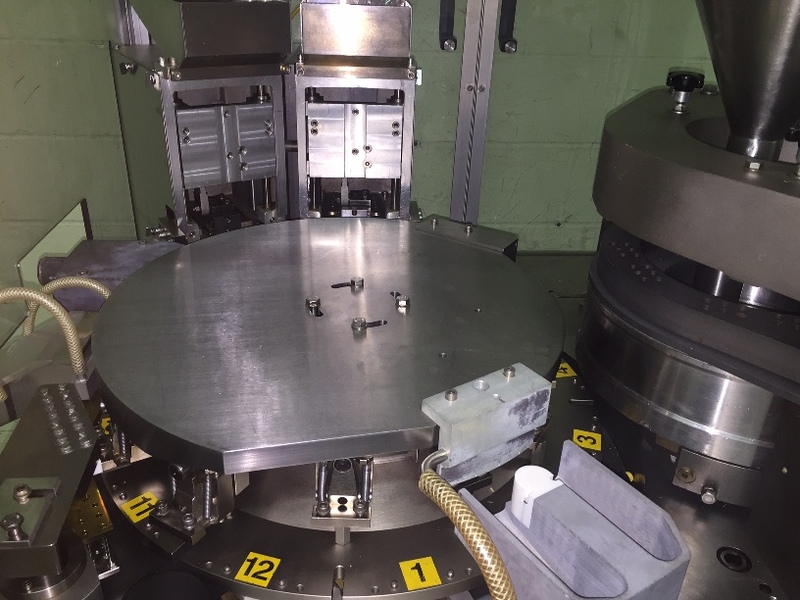 Last used in a major pharmaceutical facility. Delivery Time: 1-2 Weeks.